OLA BROWN – African Inspired. English Aura. Italian Made. Luxury Men & Women shoes worn by the likes of Hollywood stars Noah Schnapp and Michael Blackson. Shop online for premium exclusive shoes. 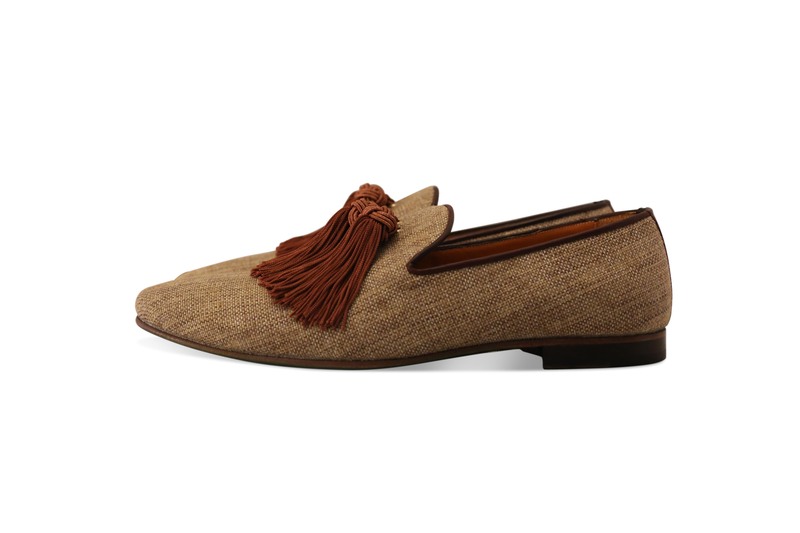 OLA is the transitionary smart casual loafer and has a sleek, contemporary, brown textured fabric finish and complimentary black lining – the tassel detailing gives a unique look.